Discussion in 'Radicons Customs' started by jcartwork, Aug 17, 2010. There is a slight changes in the alignment of the arms which some suggested that first aid is located too high up so I take the initiative to adjust the alignment for first aid as well as blade to make it more symetrical in the arms appearance what do u think! first aid looks kinda weird, kinsa too high, or maybe its the position that the arm is in. Looking good here bro! But yeah, bellyboy is right, FA is too high up, it's sticking up too high. Looks pretty good man! Could u give us a pic from straight on with his arms down by his side? I think then we all could see how much if any u might want to consider moving the arms. Keep up the good work man! no worries about that cos it hasn't been station onto it yet just put on top to show the whole structure ,it will be done when the whole bot is completed . Well I just found a solution for this prob will post the rectification once its done. 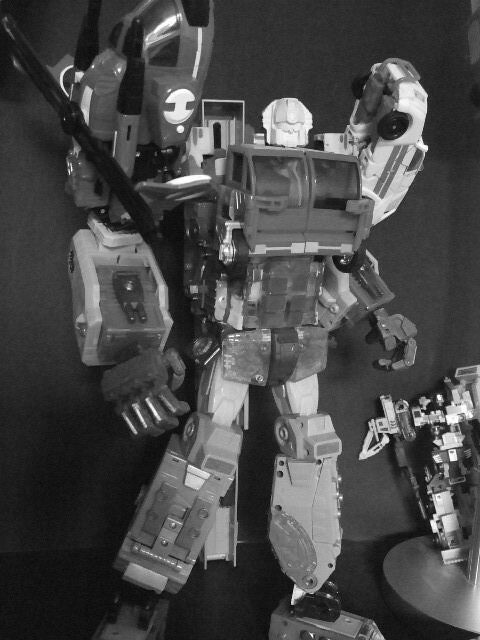 hes looking good you going to be scratch building his limbs or just keeping them as primus and unicron parts? 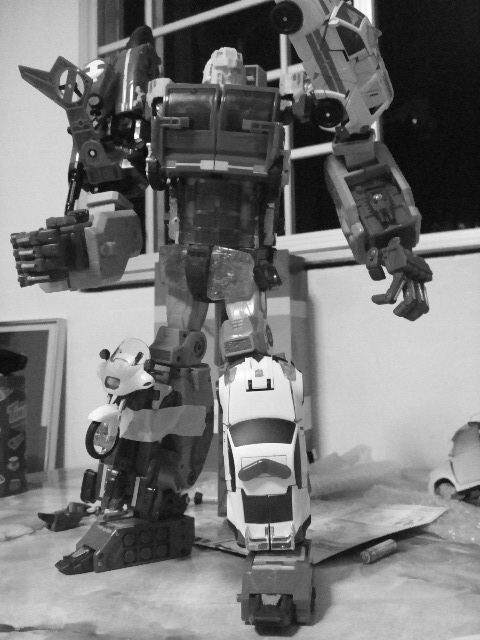 brilliant I'm trying the same with my menasor but having problems with his legs at the moment. That is a huge figure. I like that you used the pieces for the feet from RID Prime. Can't wait for the color shots. nice, would you mind sharing how you connected the shoulder joints to RID prime? I wish to do the same, but having trouble with the connections.